LineageOS 14.1 is an AOSP ROM based on Android 7.1.1 Nougat. The firmware is developed by an Android community with a lot of contributions from the developers all over the world. Probably, LineageOS (CyanogenMod) is the highest rated custom firmware for Android Smartphones. The ROM was too much famous because of the Cyanogen Theme engine and Capps, which use to allow heavy customization in the UI. However, theme Engine is no more after Cyanogen has turned into LineageOS, from which it was forked in December 2016. 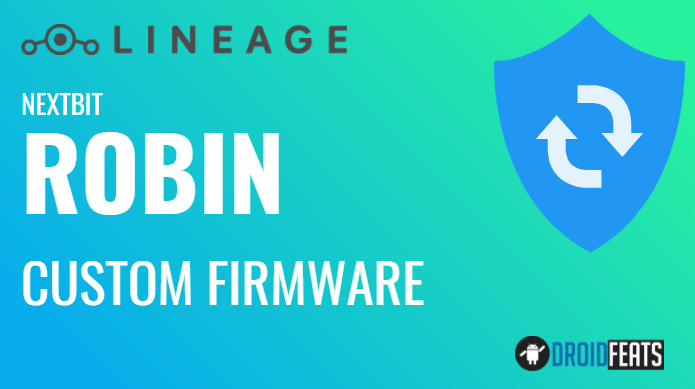 As you continue reading below, we will guide you how to install LineageOS 14.1 Android 7.1.1 Nougat Custom Firmware on Nextbit Robin with an easy step-by-step tutorial. As this is a Custom ROM, not an Official Firmware by Nextbit, you need to install a custom recovery like TWRP in order to flash the zip package. You can quickly install LineageOS 14.1 Nougat Custom Firmware on Nextbit Robin using the tutorial below! This awesome Custom Firmware comes with a lot of cool new features based on Android 7.1.1 Nougat. A quick list of main features is given below, and we hope you would love to use it on your device. LIKE this Custom Firmware for Nextbit Robin (ether)? We love it too, and we know you are looking forward to installing it on your phone. Please read the important information below before starting the tutorial. Make sure you have correctly installed Nextbit Robin USB Driver on your computer. If not, please download it from our USB Driver Section below and install it correctly. Otherwise, your computer will not be able to detect your device. We have mentioned full step-by-step instructions on How to install LineageOS Android 7.1.1 Nougat Custom ROM on Nextbit Robin. If you are entirely new to rooting, flashing a Custom ROM or an Official Firmware, please read the entire tutorial once before actually performing it on your device. Step 1: Download the latest LineageOS 14.1 Android 7.1.1 Custom ROM and GApps for Nextbit Robin on your computer. Hurray! Your Nextbit Robin should have got LineageOS 14.1 installed by now. Go to Settings > About phone to verify.